Joseph Adam "Joe" Jonas (born August 15, 1989) is an American singer, musician, actor and dancer. 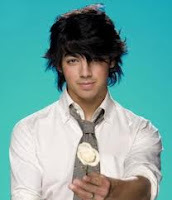 He shares the lead singer role with his younger brother Nick of the Jonas Brothers, a pop-rock band made up of him and his two brothers, Nick and Kevin. He starred as Joseph Lucas in the Disney Channel original series Jonas (Wikipedia).